It’s all about texture during the fall and winter season. 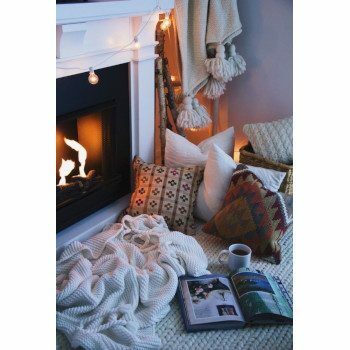 Knitted blankets and poufs, faux fur throw pillows, and sheepskin rugs immediately invites you to snuggle up next to the fireplace or curl up on the sofa with a book. 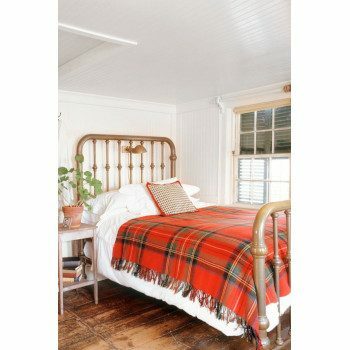 During the fall, embrace home decor with seasonal patterns, like plaid, herringbone, and tweed. These patterns will give your room an extra touch of coziness. Layer your rugs, throw pillows, and blankets. Leave a few large throw pillows on the floor next to the coffee table, add an extra plush rug to your living room, or pile pillows and throw blankets on your sofa. 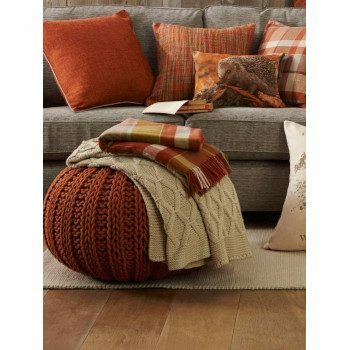 Layering is also a great way to add warm fall colors to your decor. The possibilities are endless! Although, it’s getting darker earlier in the day, try to refrain from turning on your bright ceiling lights because it will ruin the warm and cozy ambiance. Stick to soft-hued lighting that lightly illuminate the room. 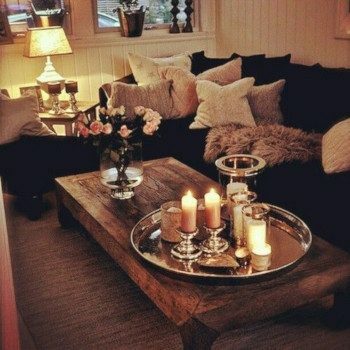 Add more candles to the fireplace mantel, install dimmers, and vamp up your floor and table lamps. Don’t forget the dining table! 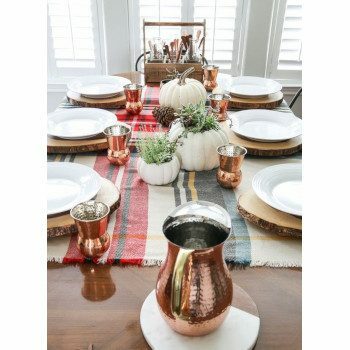 Accessorizing the dining table with a seasonally themed runner or table cloth is an easy way to dress up the dining area. Add a couple of decorative candles and fall flowers to your table and you are fall-ready!